NI-CO’s EU funded project in Kazakhstan has recently celebrated the opening of a one stop Justice Services Centre which will provide free services to the public. 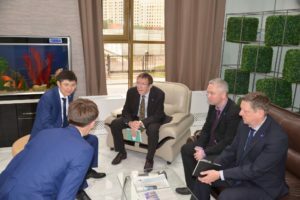 The Centre in Astana is the first of its kind in the CIS and represents a real breakthrough in transforming the post-soviet law supervisory state agency to a modern public service-oriented organization. Located in the General Prosecutor’s Office building, the Centre will focus on the prompt resolution of complaints, raising the level of citizens’ trust in law enforcement and government bodies, whilst eliminating the administrative burdens and bureaucracy. Operating a ‘single window’ system, the Centre allows visitors access to prosecutors, lawyers, mediators and other specialists according to their needs while the effective use of technology widens the number of available services. 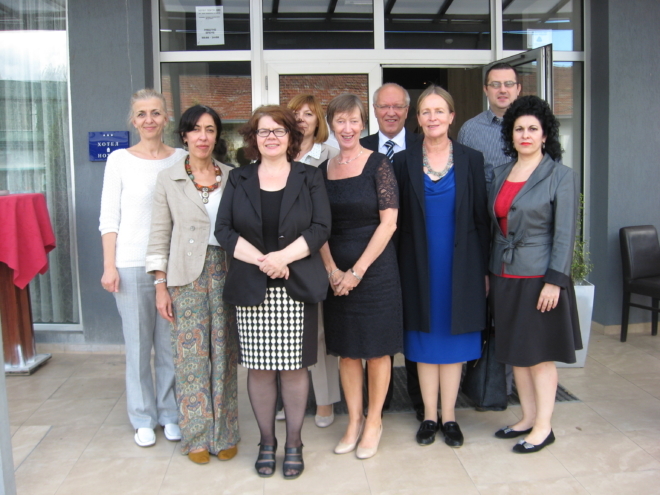 The Justice Services Centre is part of a wide reaching criminal justice reform programme in Kazakhstan which the NI-CO EUCJ project team has been delivering since October 2015. Throughout 2017, it is hoped that such centres will be established in other major cities throughout the country. 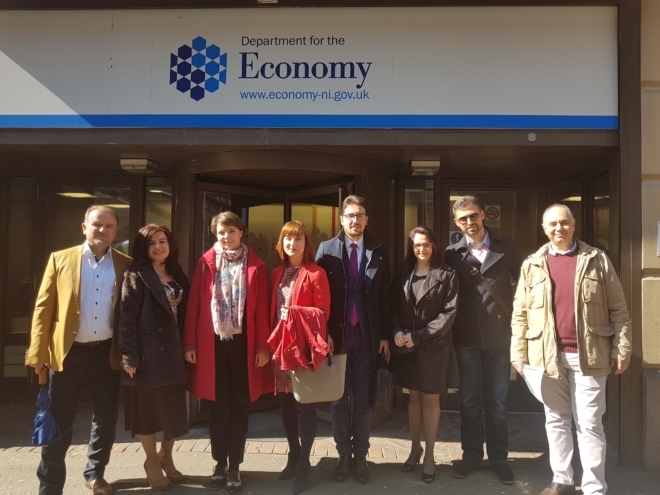 This week NI-CO is delighted to host a group of 6 senior delegates from the Republic of Macedonia who are visiting Belfast to explore how employers and education providers in Northern Ireland are starting to work together to help students access rewarding employment opportunities while stimulating local business growth. The visit is funded under the auspices of an EU Institutional Twinning project which NI-CO is delivering in partnership with the Centre International d’Etudes Pédagogiques (CIEP). 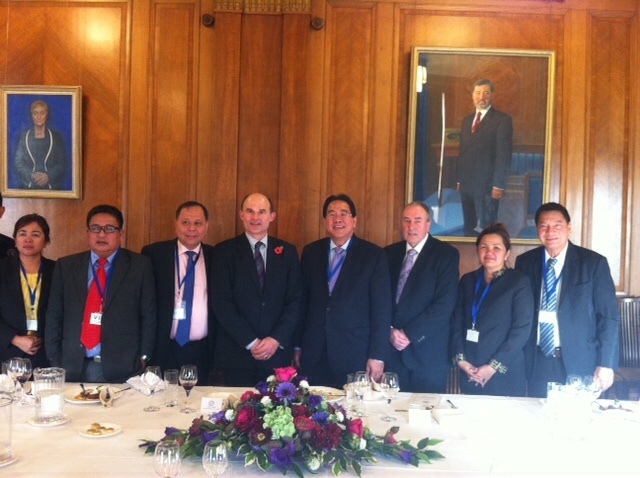 Over the next 5 days, the group will have the opportunity to learn about NI’s latest educational policy developments from senior public servants within the Department for the Economy and examine new, innovative programmes being implemented by the Queen’s University of Belfast, Belfast Metropolitan College and the University of Ulster. Visits to NI Career’s Service and to some of NI’s biggest student employers such as Deloitte and Catalyst Inc, will also provide delegates with an opportunity to explore policy in practice and assess which models may be relevant for Macedonia as they embark upon a new programme of economic and educational reform. 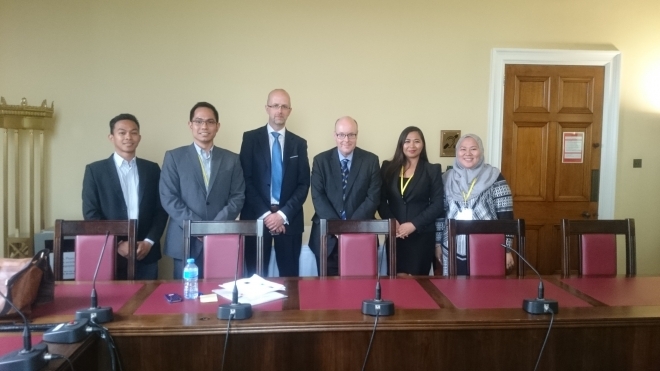 This month NICO were delighted to host a FCO funded study visit for four professionals from the Philippines who have been studying in the UK during 2015 as part of the prestigious Chevening Scholarship programme. The global Chevening programme is funded by the UK Government and is designed to offer financial support to potential future leaders, decision-makers and opinion formers to study for a Master’s degree at one of the UK’s leading universities and the opportunity to become part of an influential and highly regarded global network. The FCO were keen that the group from the Philippines took time out during their university study, to visit Northern Ireland where many parallels can be drawn between the Peace process and Good Friday Agreement and the Philippine Government/Mindanao Liberation Front peace process. During the intensive 2 day visit, the delegation met with a number of organisations including the Northern Ireland Assembly, NGO’s and community based services that have been fundamental during the peace process through supporting post conflict rehabilitation, development and inclusion who provided the group with a holistic and comprehensive understanding of the significance of a negotiated political settlement as a step towards sustainable conflict resolution and development.